"It is a very rewarding experience." 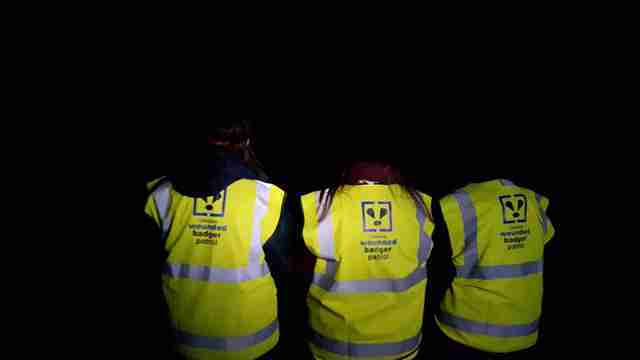 Every night, small groups of volunteers all over the UK go out into the dark fields of the countryside to look for animals they can save. These people are part of "wounded badger patrols" — and they're trying to right what many see as a major wrong being done to animals there. Badgers are highly social animals who make homes in the ground called "setts," which can be used for generations and where the animals, who live in groups that usually include several adult badgers and their babies, play together and groom each other. 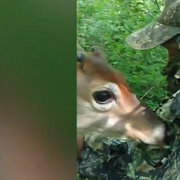 But thousands of badger families are trapped and killed by hunters and landowners every autumn in the UK because of a belief that the animal can spread tuberculosis (TB) to cows being raised for meat. Not only sad, the cull could be totally pointless. A groundbreaking study that looked at 10 years of badger culling recently showed that tuberculosis in regions where badgers were killed was still no lower in cattle there than in places where badgers were left alone. This year, the government expanded the "cull" to 11 new regions, which could sentence to death about 20,000 more badgers than last year, when 10,000 were killed. “It’s depressing that the government is pursuing badger culling over such huge areas when the benefits remain so uncertain," Rosie Woodroffe, an ecologist with the Zoological Society of London who conducted the study, told The Guardian. "It is a very rewarding experience because we just can't sit at home knowing that these magnificent creatures, who survived the Ice Age here in Cheshire, are being baited and shot," Jane Smith, of the Wounded Badger Patrol in Cheshire, told The Dodo. 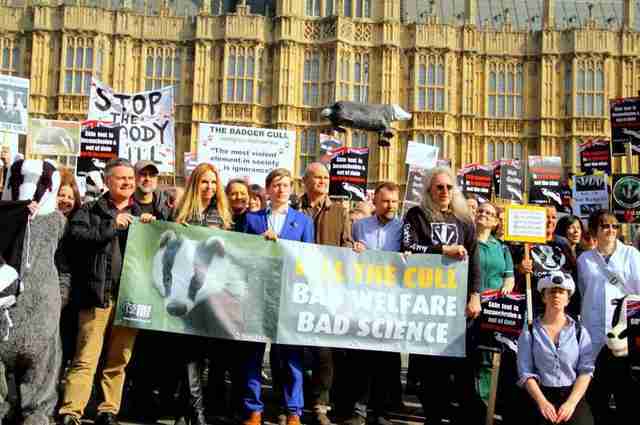 "It is a way not only of being able to prevent shootings and help any injured badgers, but also to demonstrate our real solidarity with the wild creatures who share our land." 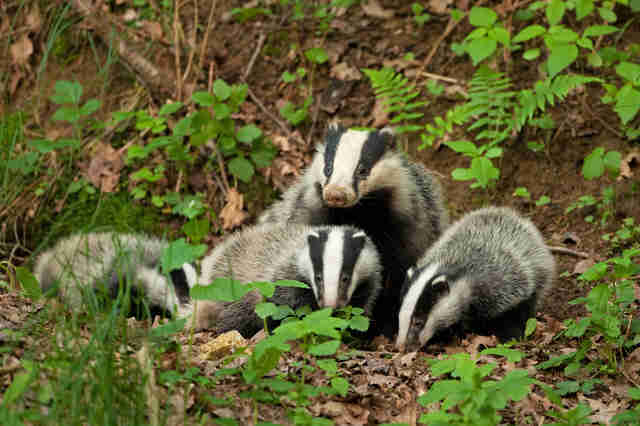 The volunteers, who come from all walks of life — "We have retired doctors, scientists, ecologists, students, homemakers, office workers, town councillors, teachers, artists and engineers among our ranks," Smith said — are looking for badgers who may have been injured but not killed or who may have been trapped for longer than they are supposed to be. "If we find a badger in a cage trap, we stay with it so that it can't be shot," Smith said. "If they're not shot by a certain time late morning, they have to be released." When they can, volunteers rush injured badgers they find to wildlife rescue centers in hopes they can save their lives. But to help the animals in the long run, the government has to change its policy. 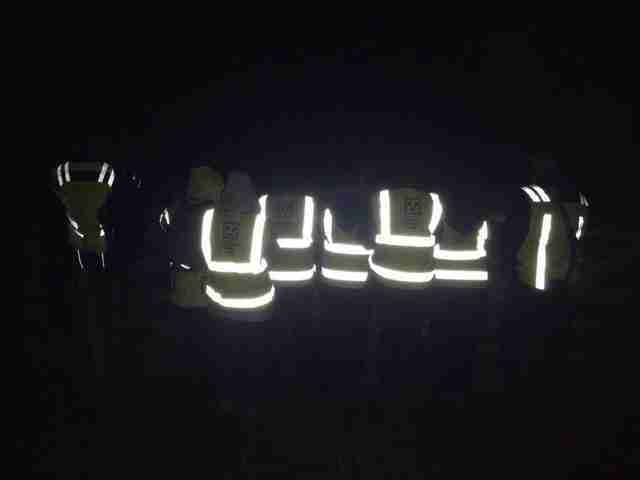 Until then, the wounded badger patrols are determined to do what they can to help. "We all worry that it will be extended further in the northwest next year," Smith said. "We've already been approached by other county badger groups asking for advice on how to best prepare." If you live in the UK and want to get involved in efforts to protect badgers, you can get in touch with the Badger Action Network. If you aren't local, you can share this story to raise awareness about the threats facing badgers.